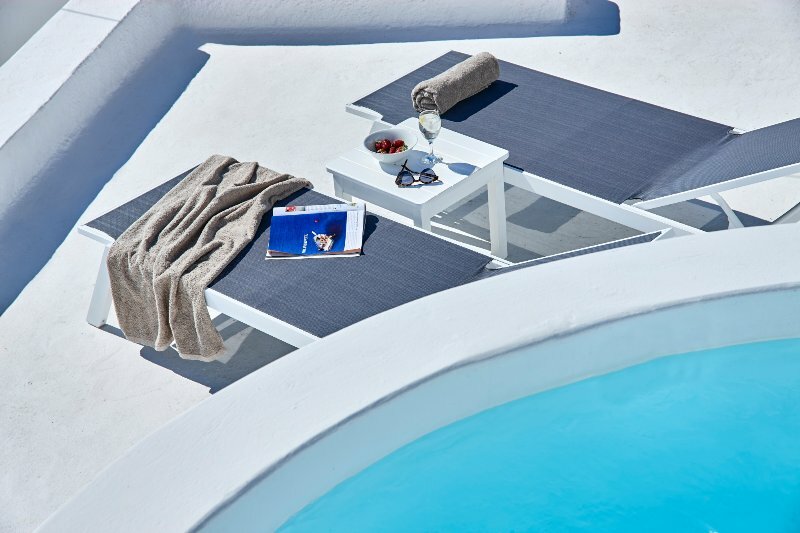 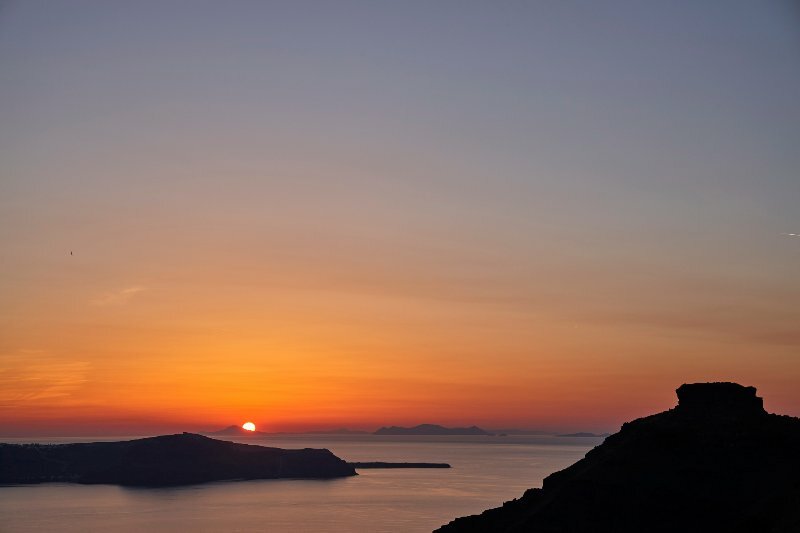 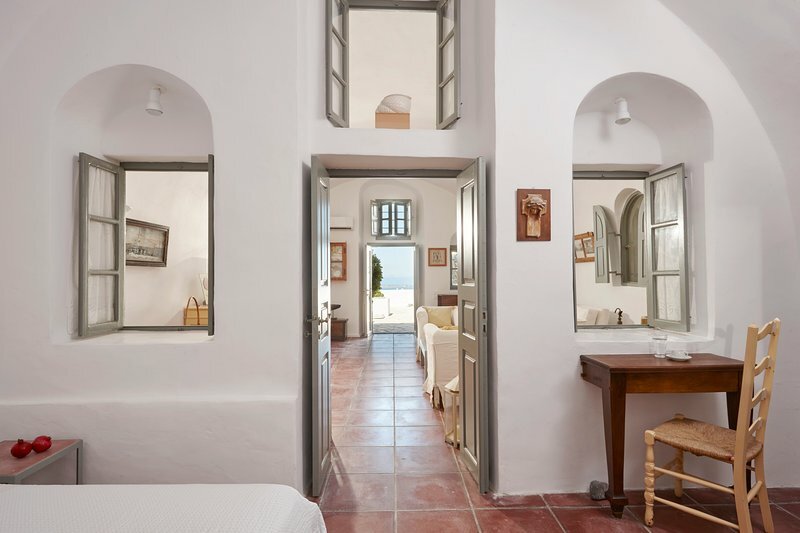 Nautilus is a 3 bedroom Residence situated at Firostefani village , just a step away from fabulous restaurants, shops and just 10 minutes walk from Fira. 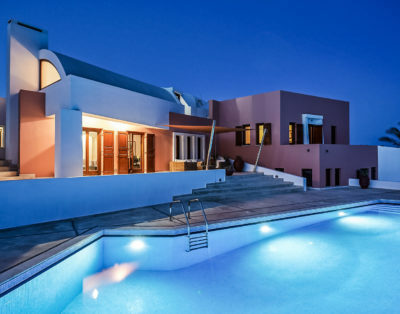 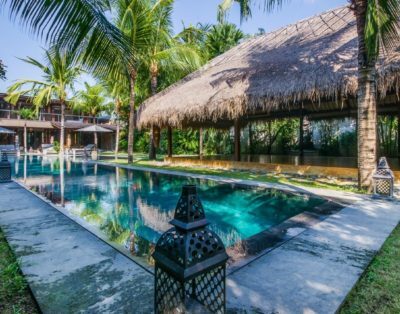 It offers 3 bedrooms, outdoors Jacuzzi, sunbathing terraces, panoramic views of the sea and the volcano and beautiful sunsets. 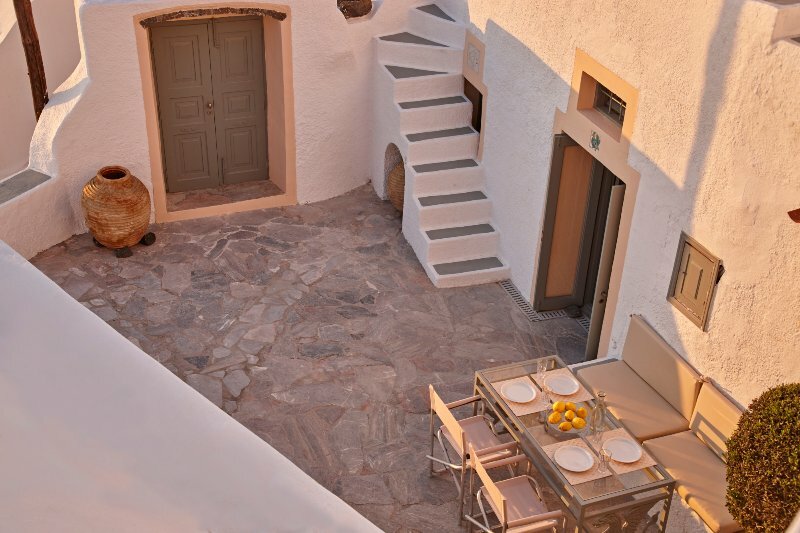 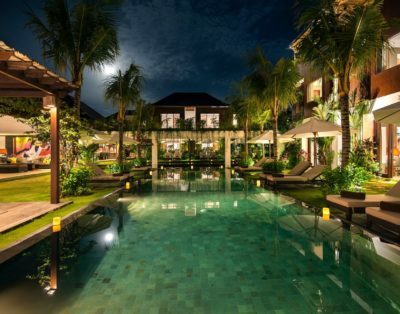 From the main door you enter to the main courtyard with outdoors sitting- dinning area with amazing views. 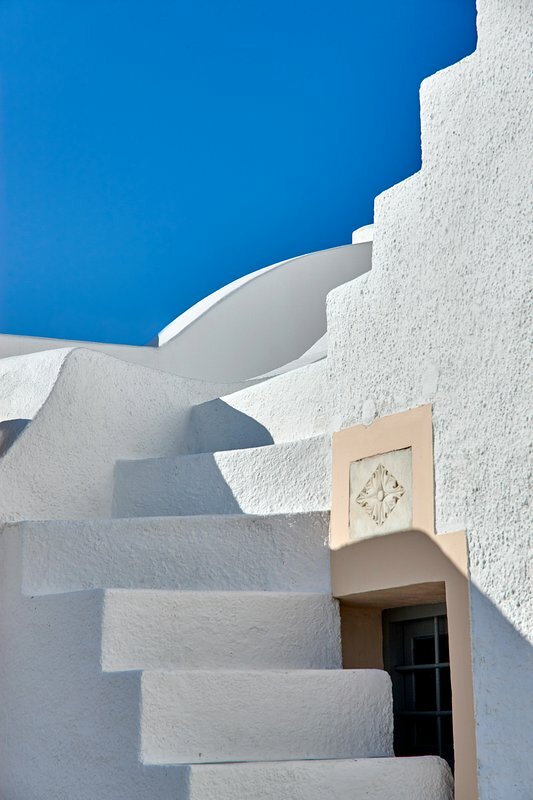 Stairs lead up to the two upper floor roof top terraces with sun beds for sunbathing and outdoors Jacuzzi with beautiful sea views. 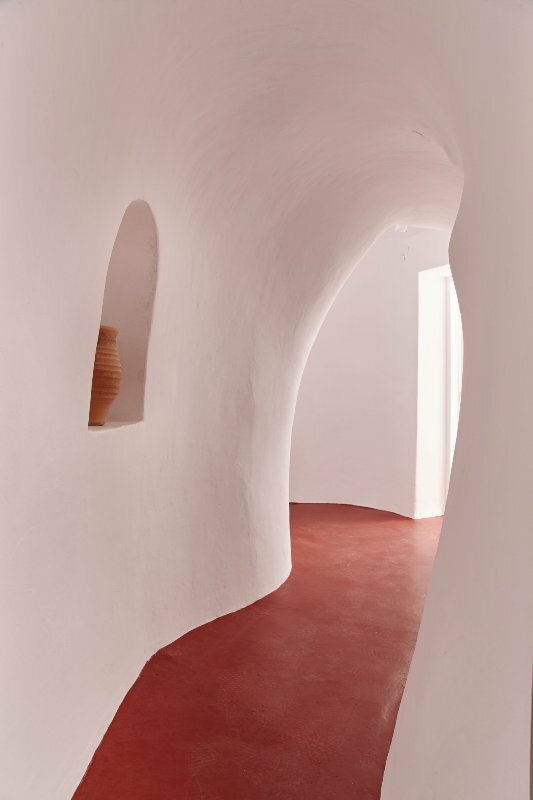 The name Nautilus comes from the shell collection and decoration that is dominant inside the living area. 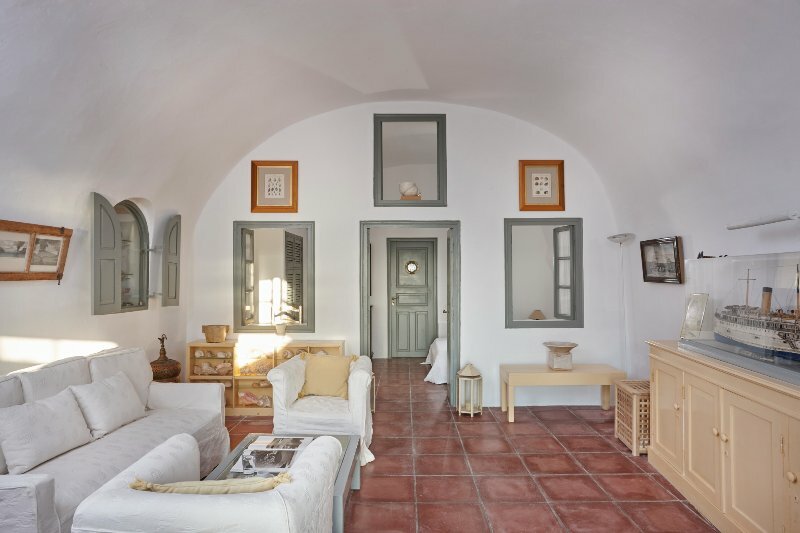 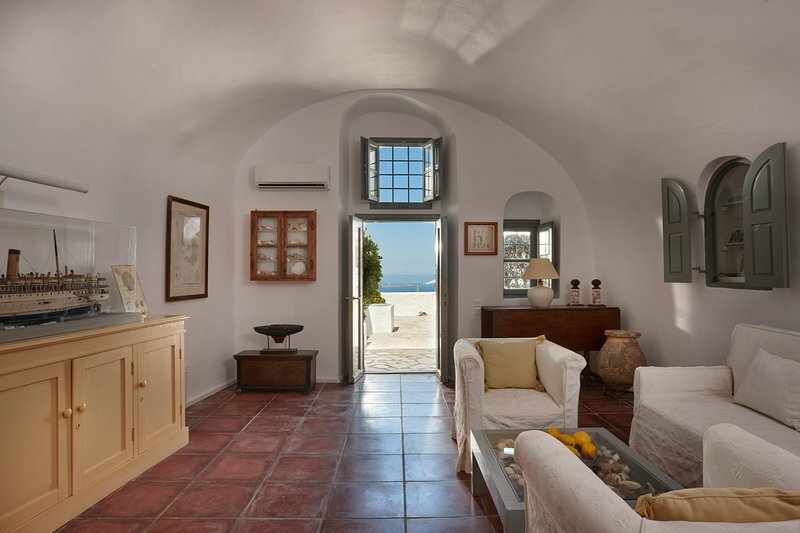 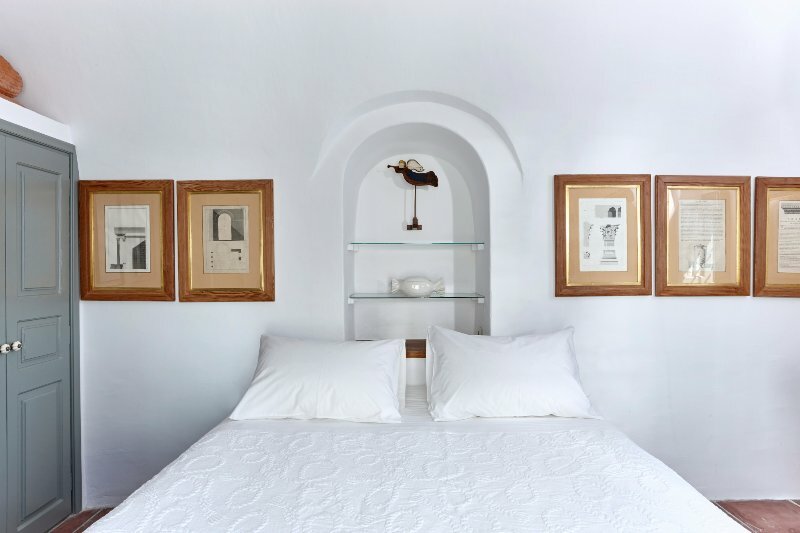 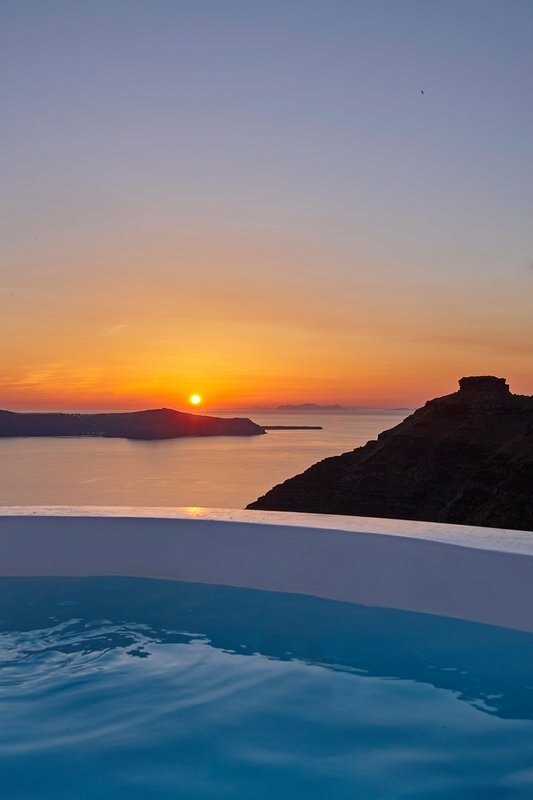 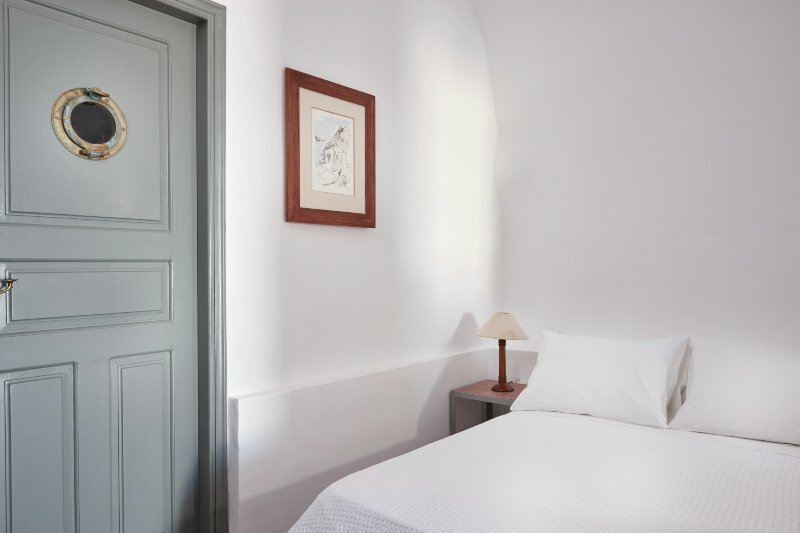 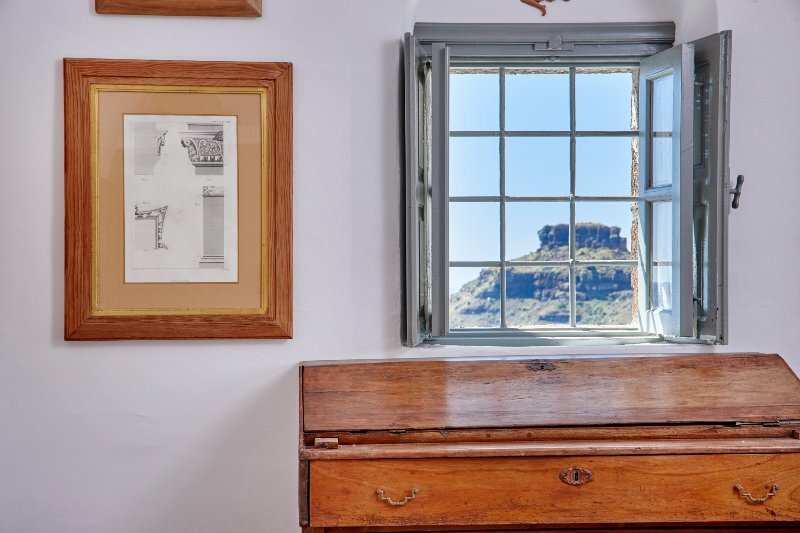 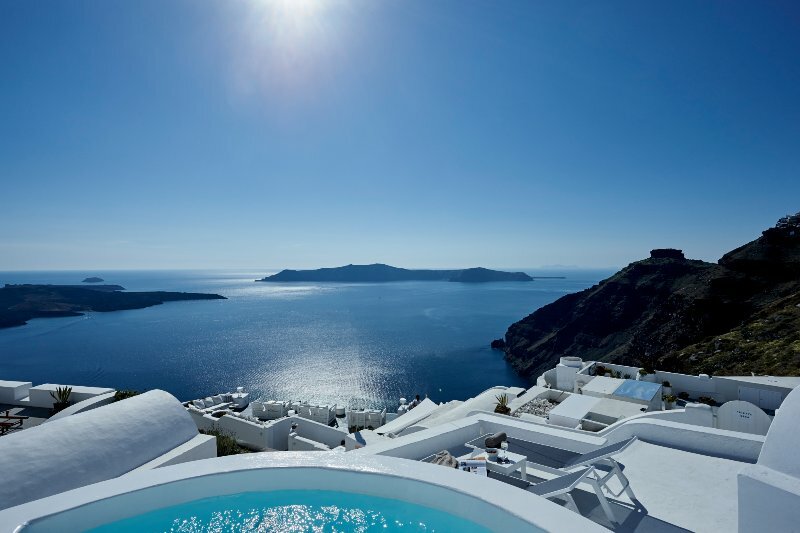 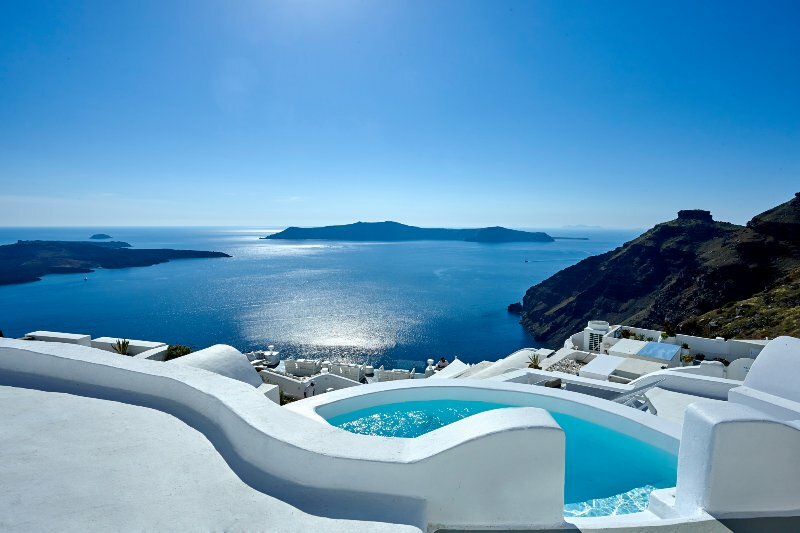 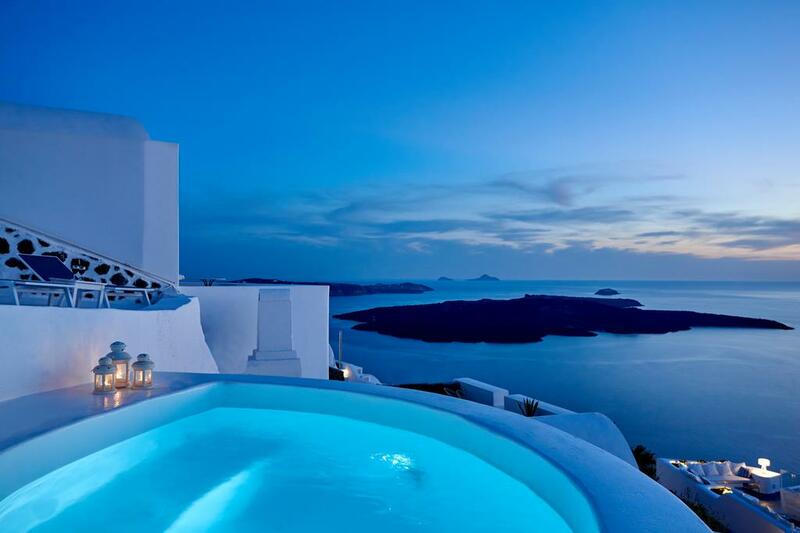 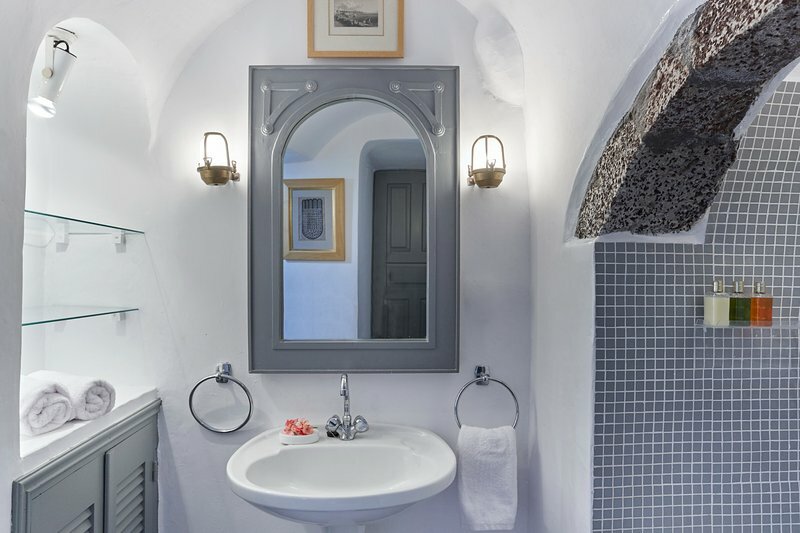 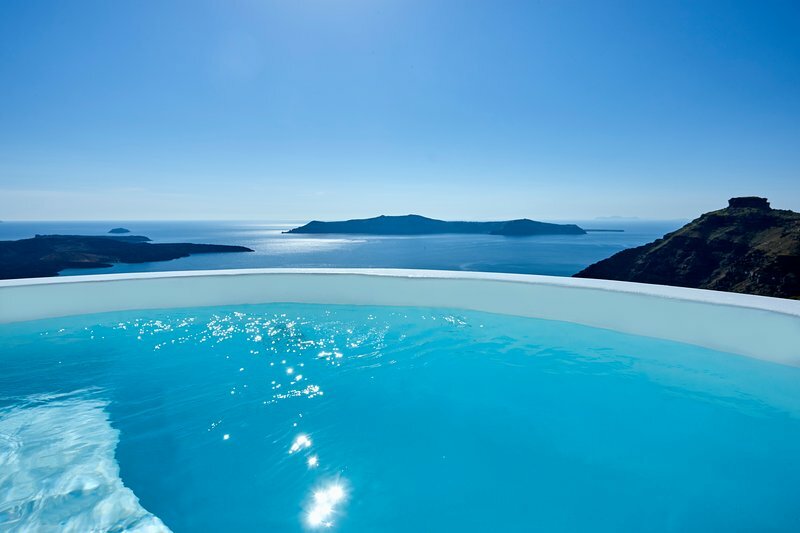 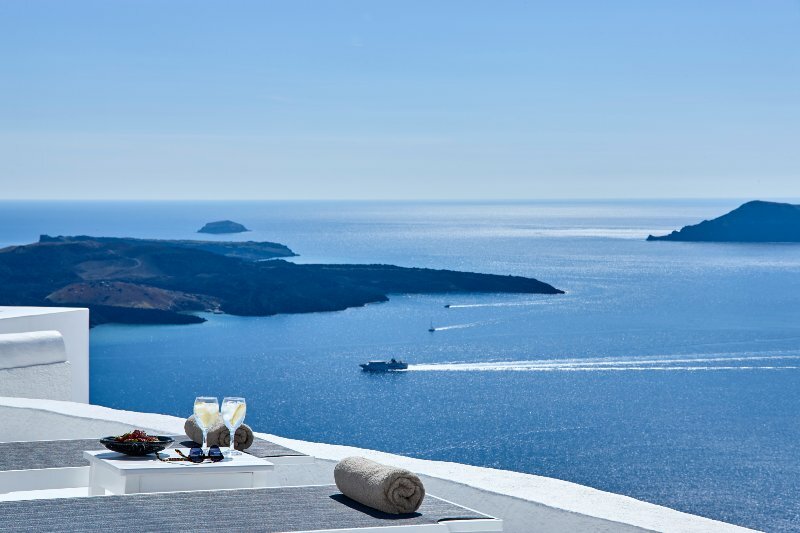 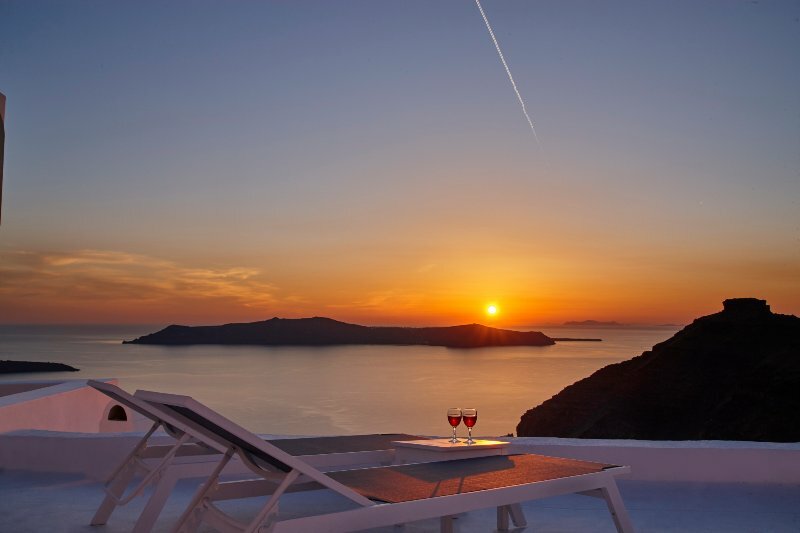 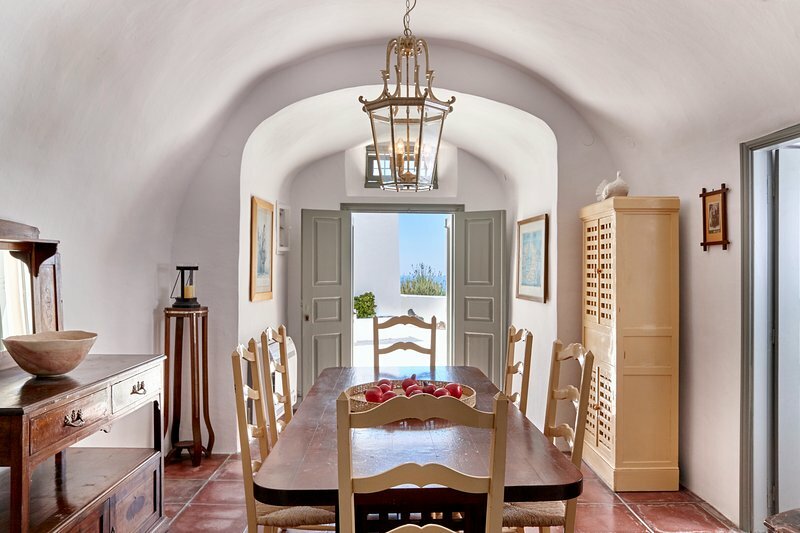 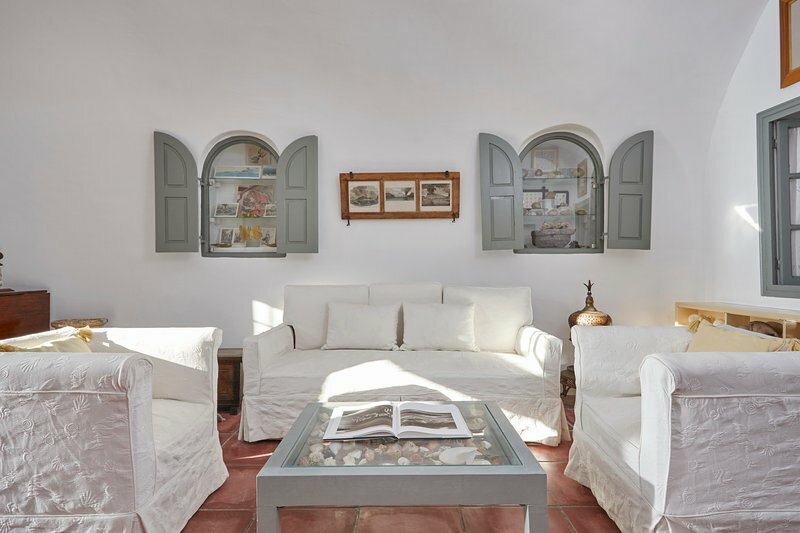 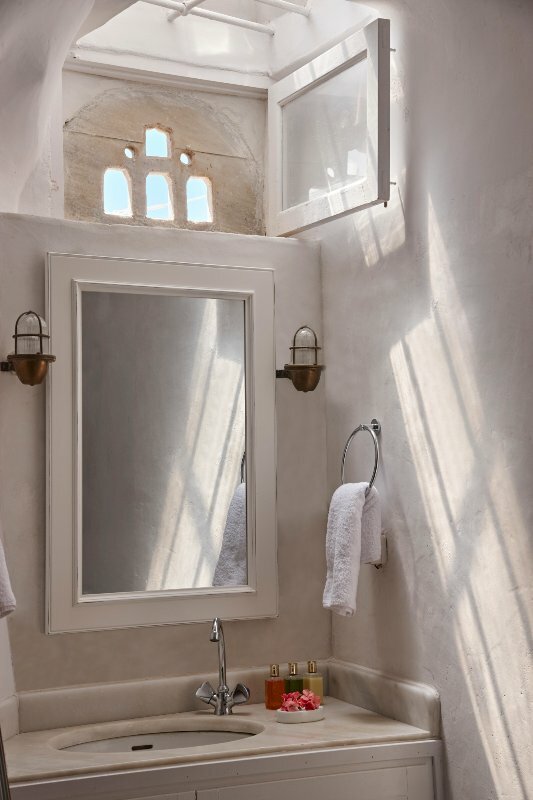 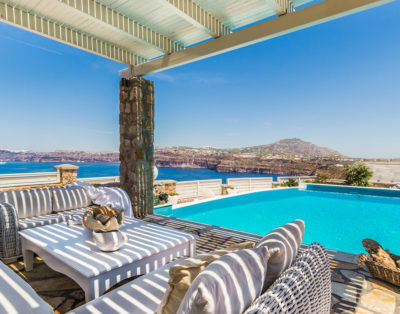 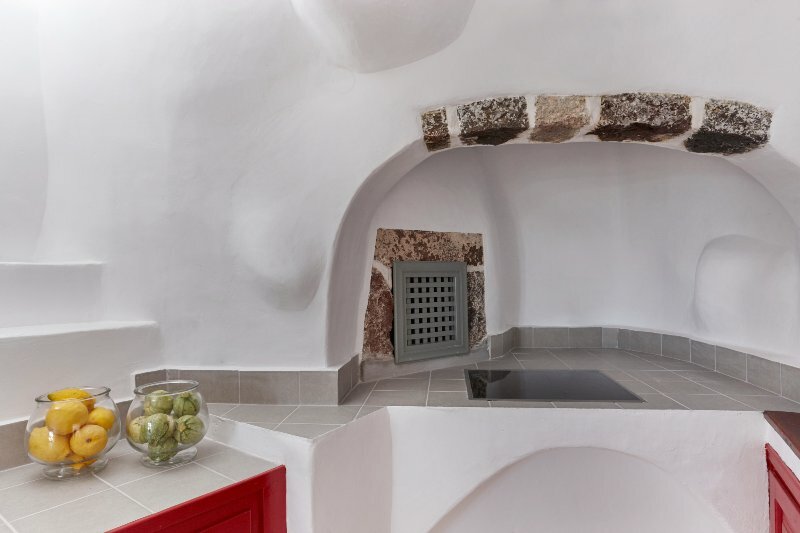 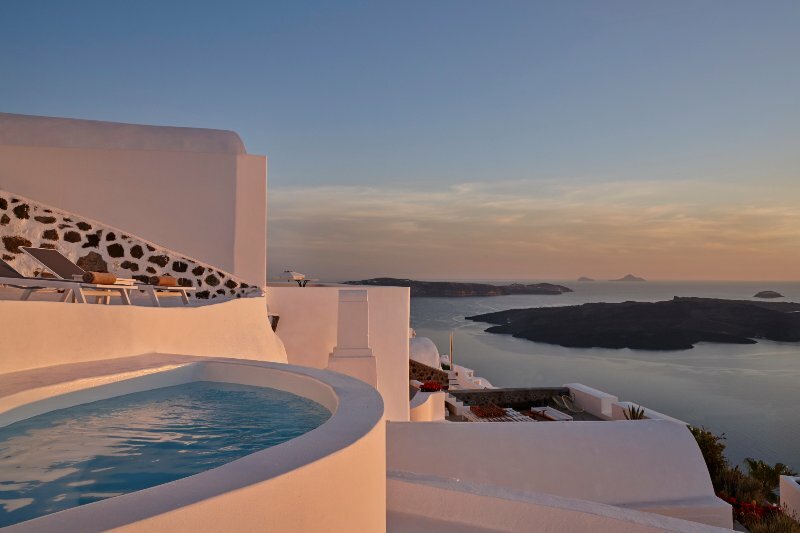 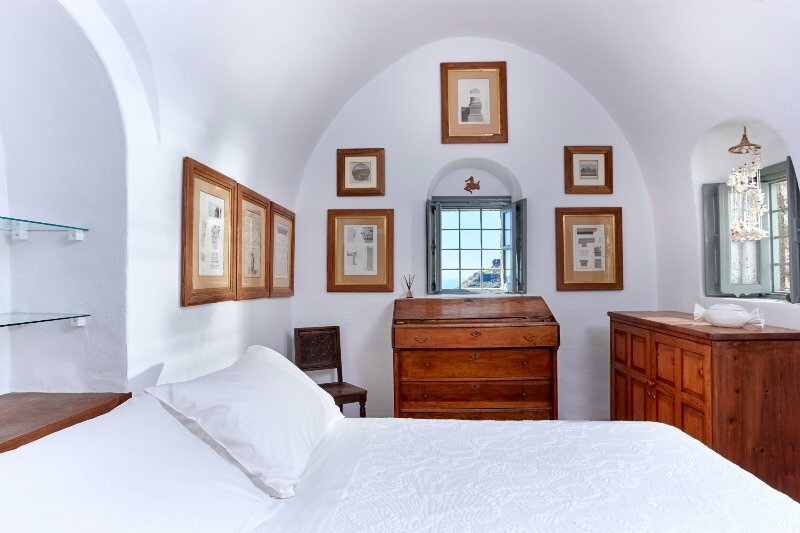 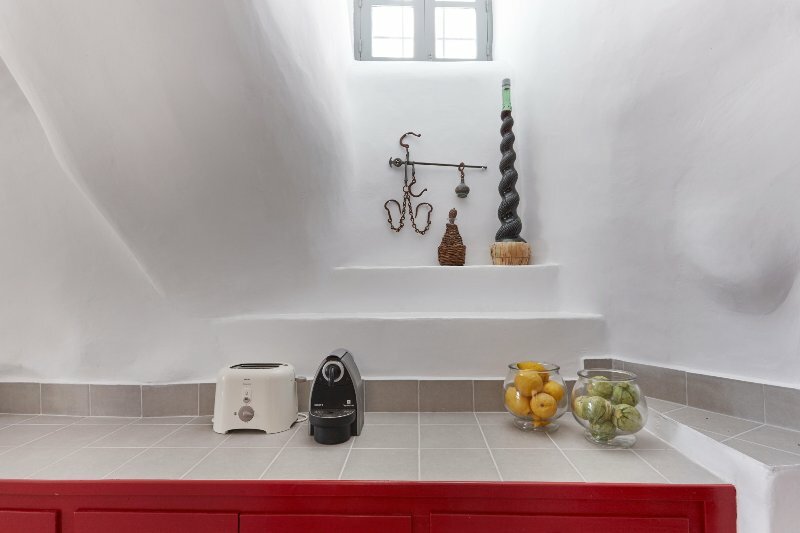 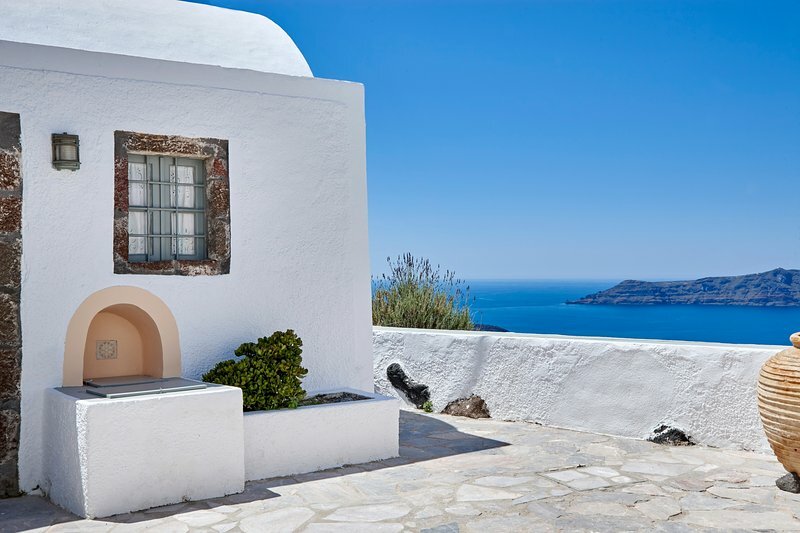 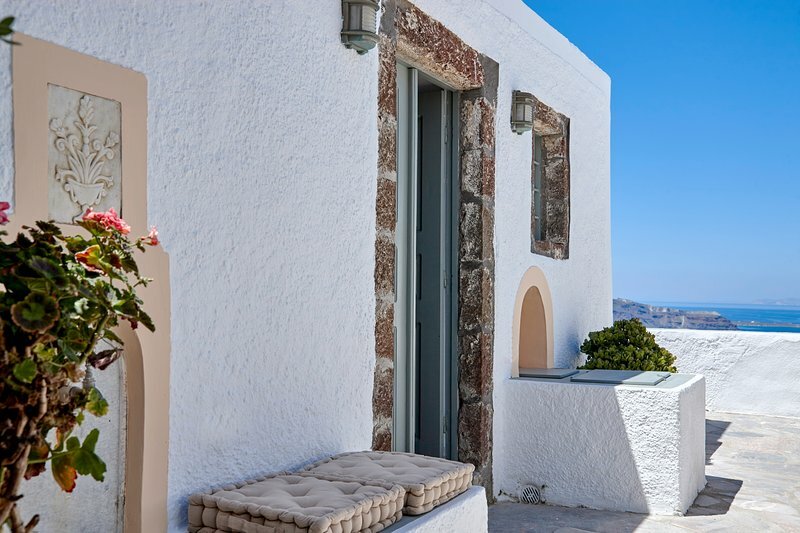 The house has typical Santorini architecture with vaulted ceilings and curves, combined with elegant furnishing, antique and art objects without compromising in modern comfort sand facilities. 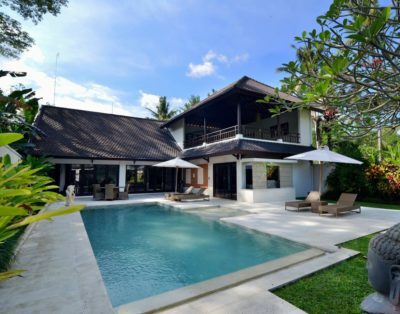 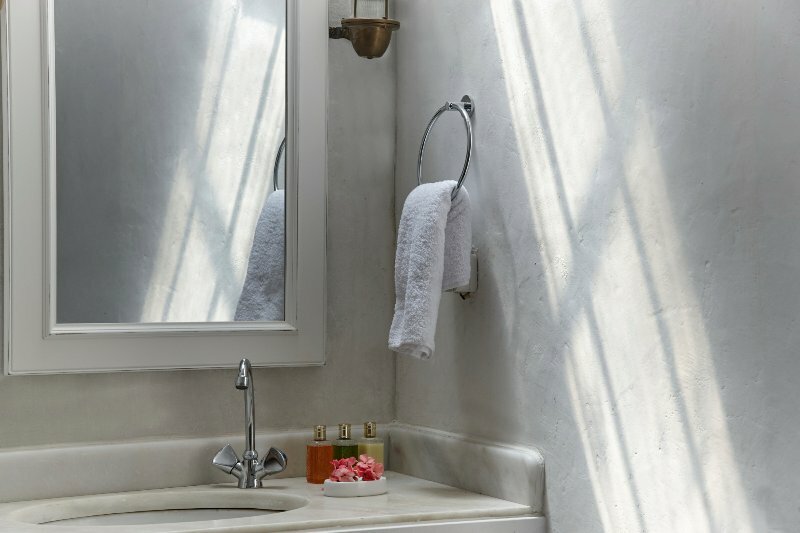 The house features 3 bedrooms, one master bedroom with queen size bed, separate entrance and en suite bathroom . 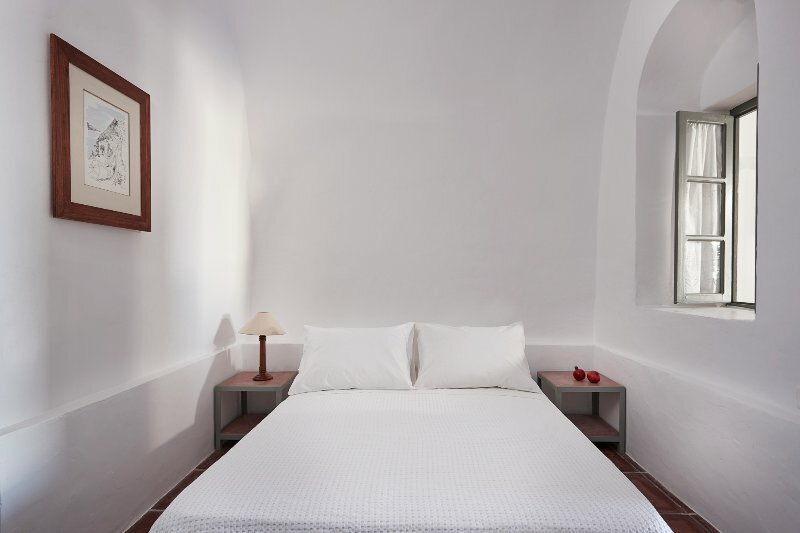 Two other bedrooms with double beds are situated on the main building and share one full bathroom with shower cabin. 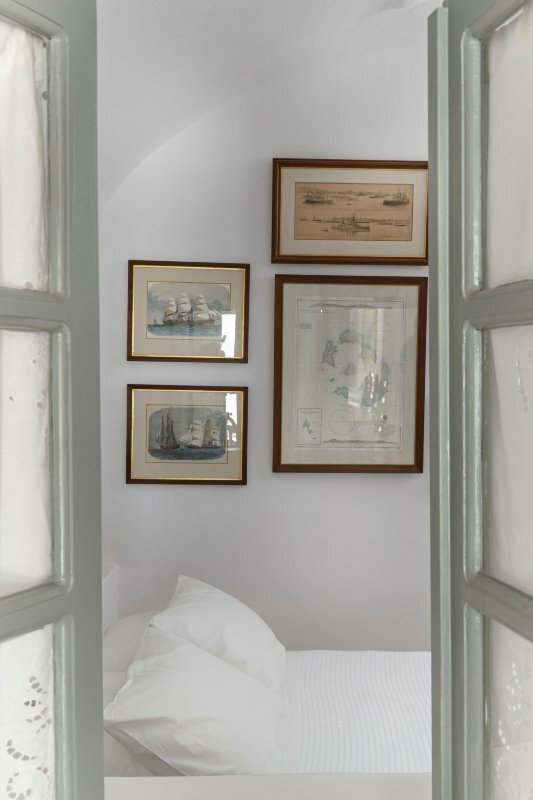 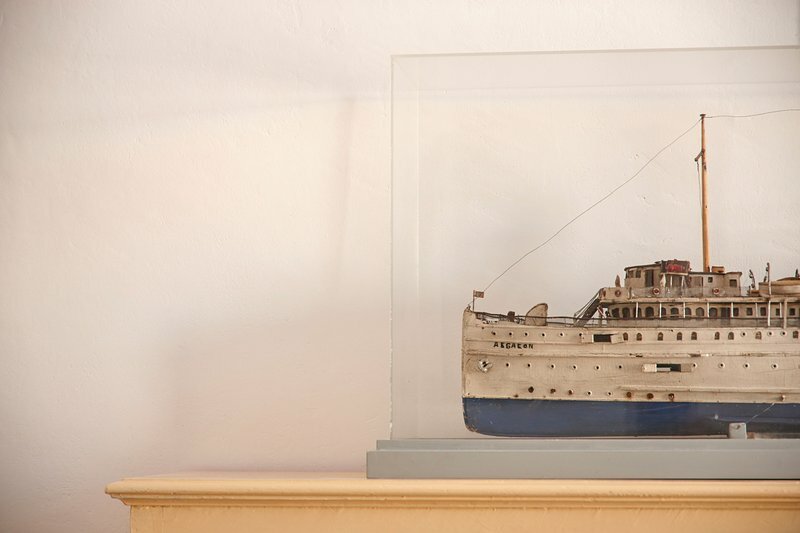 On the main building you will find a comfortable living area, the shell decoration and a boat are dominant in this room that create a special and artistic atmosphere. 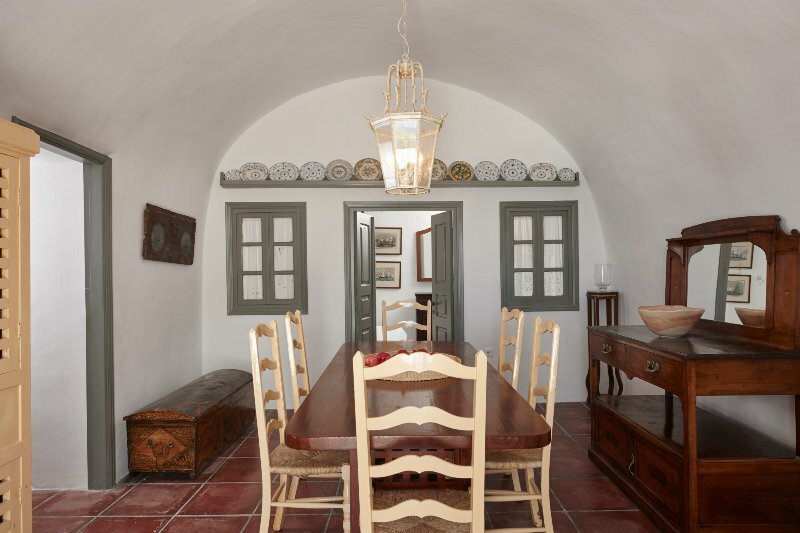 There is also a separate dining room with a wooden table and antique furnishings suitable to sit 10 persons and a fully equipped kitchen adjacent to the dining room. 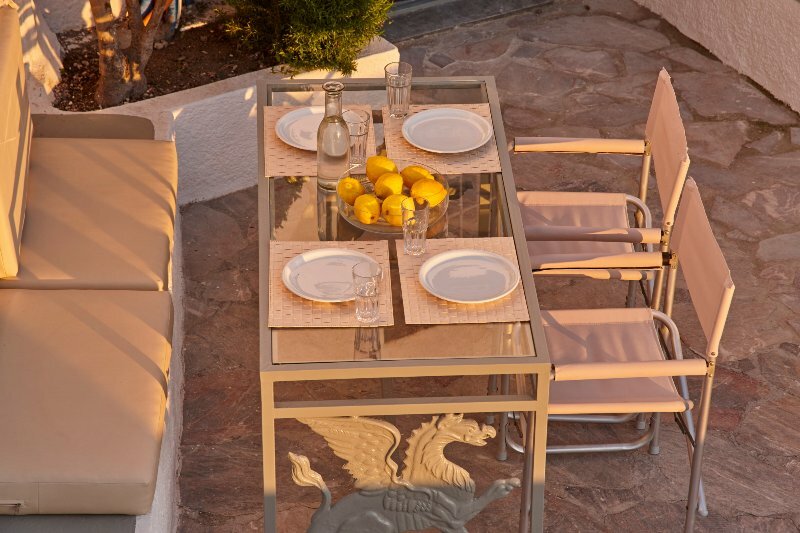 A 50 % deposit is required to confirm a booking, Settlement, 4 weeks prior to arrival. 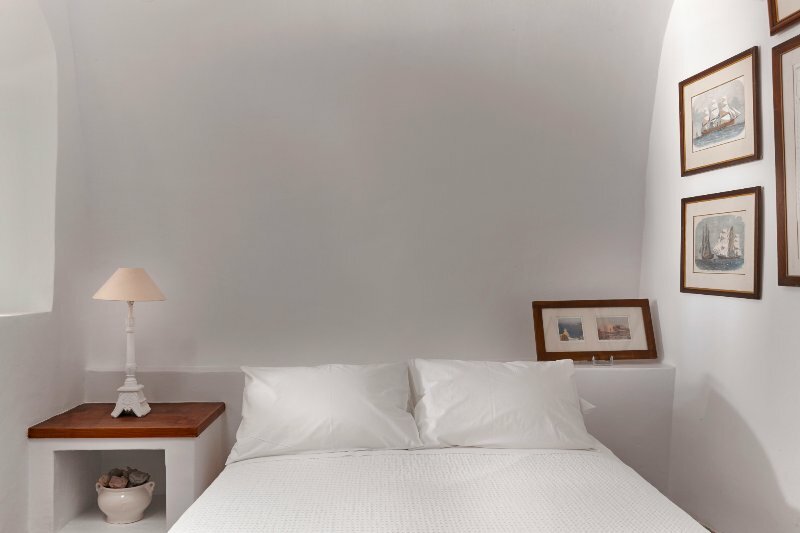 Taxes are included already in the daily price.